Like most other states in the US., Georgia has been significantly affected by the rise in alcohol and substance abuse. However, residents who wish to overcome alcohol addiction can achieve this by calling any of these alcohol addiction hotlines for information and treatment recommendations. Delphi Health Group provides 24-hour-a-day, 365-days-a-year access to free drug counseling and treatment opportunities. These services offered are covered under insurance. Calls are toll-free and are treated with 100% confidentiality. Call the alcohol help hotline on (866)-520-2708 to speak to a representative. Georgia Crisis and Access Line offer residents free drug counseling and treatment advice round the clock. Calls to this alcohol hotline (1-800-715-4225) are toll-free and available 24 hours a day. 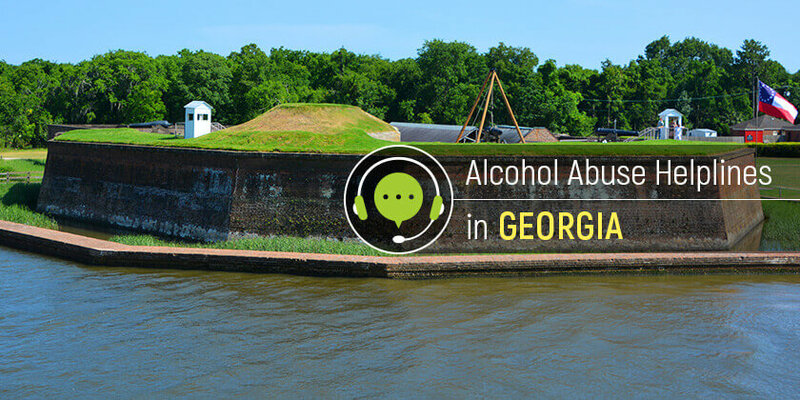 Helpline Georgia is open 24 hours a day, 365 days a year to offer Georgia residents information on alcohol detoxification and treatment advice. Representatives also provide information on treatment for other substance use disorders. Call the alcohol hotline on 1-800-338-6745 to speak to an agent. Call the Substance Abuse and Mental Health Services Administration (SAMHSA) National Helpline 1-800-662-HELP (4357) for information on and treatment referrals for alcohol addiction and other substance abuse disorders. Calls to the national alcohol and substance abuse hotline are available 24 hours a day, 365 days a year in English and Spanish languages. Do not hesitate to ask for help. Dial one of the numbers from the list and get qualified and confidential assistance!